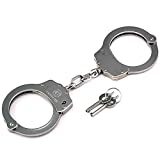 There's a relatively good chance that sometime in your life, you might end up in handcuffs for various reasons and having the knowledge to free yourself and escape would be a helpful skill to know. 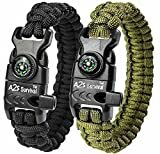 That's why everyone needs this cool new Practice Cuff. 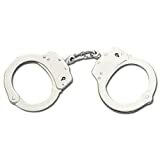 This is a real handcuff, just one side, that can used to learn how to pick with a paperclip or hairpin or any similar small piece of metal and has a handy clear acrylic window that lets you see the inner mechanical workings of the lock as you practice. 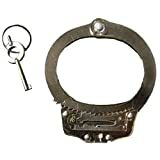 It also includes 2 handcuff keys just in case.